If you are looking to improve your investment skills, I recommend you read one of these four books. All of them share one thing and that is a huge informational value. I bet they will have a positive effect on you. There are many books about trading and investments, but these belong to the best and are recommended also by others. Do not forget that if investing were as easy as buying and reading a book, we would all be rich. Reading all books about trading in the world won’t guarantee you will be a good trader. Always use common sense. Market Wizards belongs to the list of investment book bestsellers. It consists of series of interviews with the best investors of today so that the reader gets a unique opportunity to take a peek into the minds of those, who made a great fortune with just a few bucks. You will also get a chance to reveal secrets which made these fortunes possible. Why is the book so popular? The reason is simple: because of the way of how it is written. Sensible information and detailed view of the trader’s minds written in an entertaining form will guarantee that you will not get bored easily. It is not a trading tutorial, but if you are looking for motivation to keep learning, this might be the right book. Again, this is not a trading tutorial. The book contains autobiographical content from the author’s life. 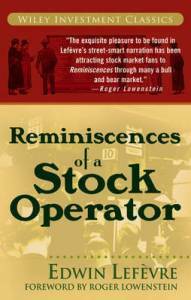 This book tells us a partly real and partly fictitious story of a trader named Jesse, who represents the author himself. Gradually you will be dragged into the investor’s life for whom the trading has become everything. Personally, I think this is the best book on trading with autobiographical segments and will teach you valuable lessons from the world of investment. I am 100% sure that this book will interest you and that you will swallow every word from it. 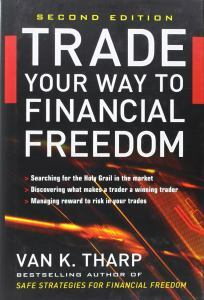 Trade Your Way to Financial Freedom is worth reading especially due to the tips about money management you’ll find in it. It is one of the few books which can and will explain money-management and its principles to everyone. It is useful especially to new traders who are struggling to find their way around money-management. I would recommend this book to everyone. Many traders are unaware of how money management is important. It is as crucial as technical analysis or fundamental analysis and might even be the most important of them all. Many people underestimate this and bad money management, not indicators, is usually responsible for the flawed trade system. Money management is the alpha and omega of your trading regardless of your system or indicators. Unless you are clear on money management topic, your trading is equal to a game of roulette. The Intelligent Investor, written by the most important investment advisor of the 20th century, will tell you how to avoid mistakes as a trader or a broker. 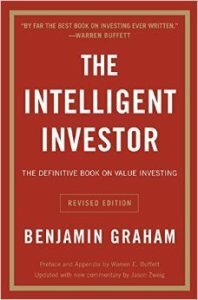 Warren E. Buffett named this book „the best book on investing ever written“ which means a lot. Doesn’t it? You will also learn which successful long term strategies you can use in your trading. More free books await you in our books section.